Reassurance shield as 49 joins 20. 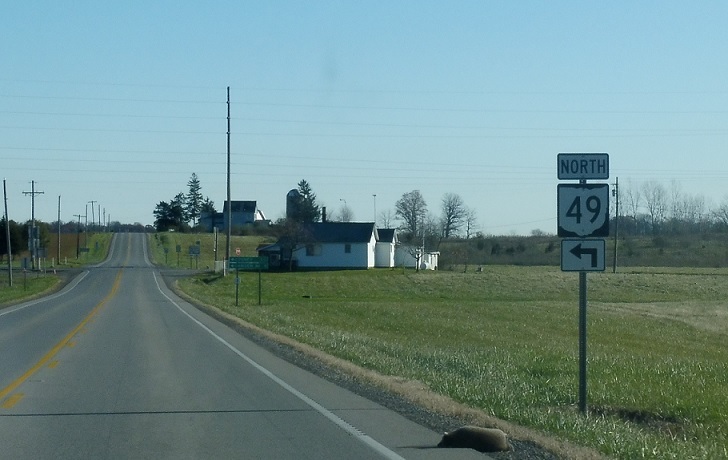 A mile later, 49 splits to continue north. 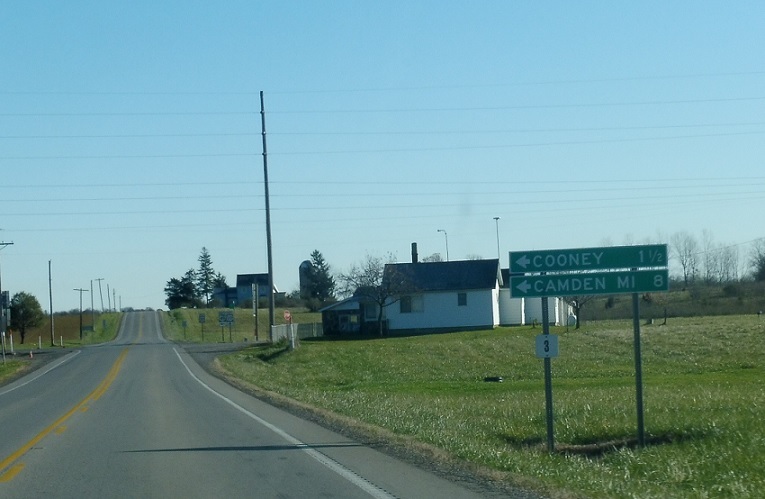 Follow 49 north to Cooney and Camden, Mich. 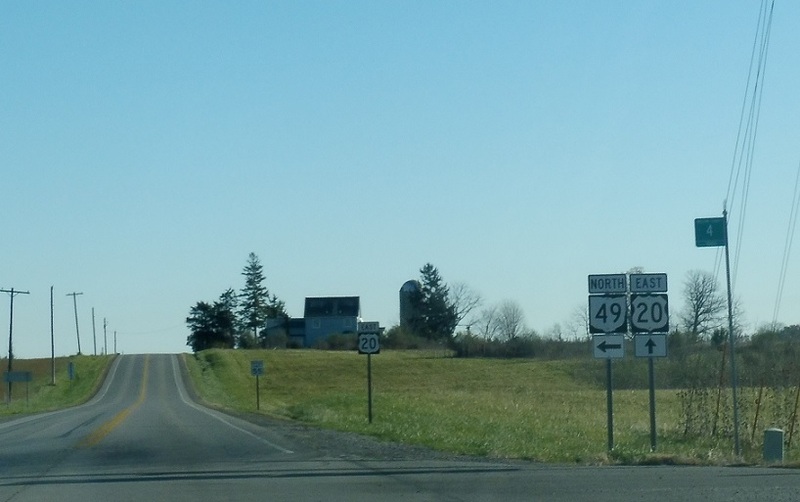 Turn left for SR 49. 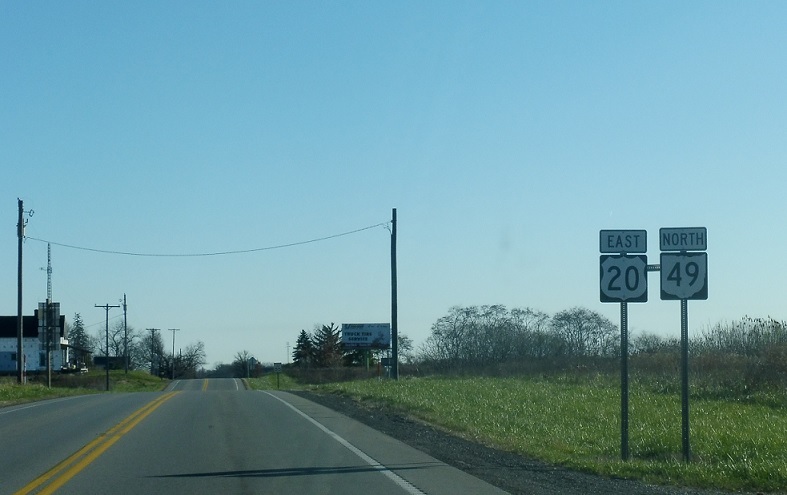 Stay straight for US-20 east.